From petticoat duels and lucky cats to the Stiffs Express, Lord Nelson's spare nose, the Piccadilly earthquake and the Great Beer Flood of 1814, A Curious Guide to London takes you on a captivating, wildly entertaining tour of the city you think you know, unearthing the capital's secrets and commemorating its rich, colourful and unusual history. Brimming with tales of London's forgotten past, its strangest traditions and its most eccentric inhabitants, this book celebrates the unique, the unusual and the unknown. 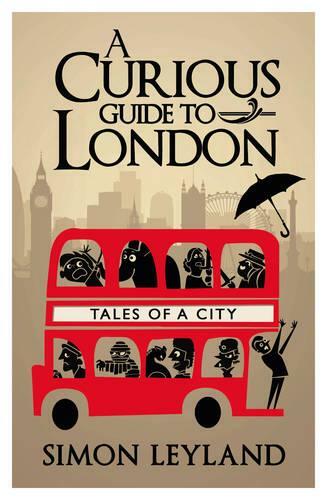 Perfect for tourists, day-trippers, commuters and the millions of people who call London home, this alternative guidebook will make you look at the city in a whole new light. I bought this book on a whim, having no idea what to expect and am happy to report that it is well written and superbly researched.